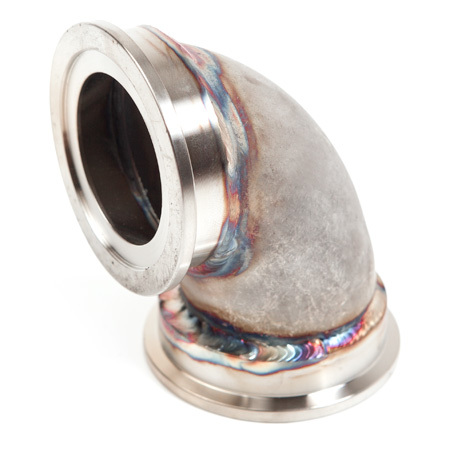 Low profile version of the ATP-FLS-131 - MVS 44mm wastegate elbow. 100% 304 stainless. Flanged for Tial V-Banded Tial 44mm or MV-R wastegate. Allows for flexible relocation of the 44mm wastegate. Built from heavy duty stainless flanges and thick-wall stainless cast pipe. Nice TIG welded construction. *For inlet side of wastegate (manifold to wastegate) and NOT for the outlet side of the wastegate.